Once you’ve set up your hackAIR sensors, the question is: what can you do with the data? 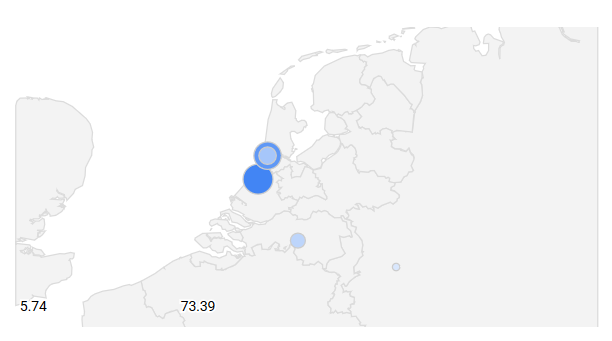 Of course, you can check it day by day on the map, but wouldn’t it be cool to do more? Let’s see what’s already possible. 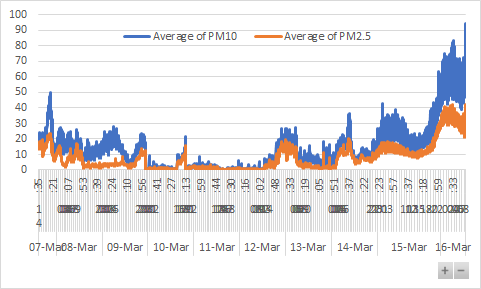 This blog post has been written for hackAIR users who are familiar with Excel and curious about data visualisation. Please check out what hackAIR communications lead Wiebke Herding has learned about visualising data! We’d also love to hear from you what you have been experimenting with. Each sensor has its own profile page that you can find by going to Profile > Sensors. After a moment’s wait, you’ll get a list of the latest measurements translated as air quality ratings. Using the ‘Export Measurements’ button, you can then download the exact measurements from your sensor in CSV format. This way, you can export 5000 measurements at a time – if you need more, just run multiple exports. Note: the timestamp in the export is in GMT – depending on your own time zone, you might need to adjust this (e.g. add an hour if you are based in Berlin). Note: these formulas assume that you use English localisation settings. If you use Excel in a different language, you might need to adjust quotation marks and commas. Using the report filter buttons at the bottom right, I could then zoom into the hourly averages and finally into the individual measurements. 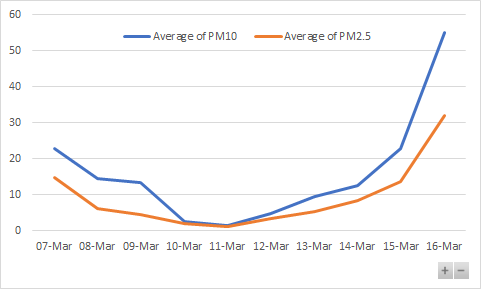 On average, the sensor at the front of my house picked up 53% more PM10 particles, and 23% more PM2.5 particles in the testing period. As downloading the files can get tedious over time, we could also use the hackAIR API to access our data. We can use a service like data.world for that. 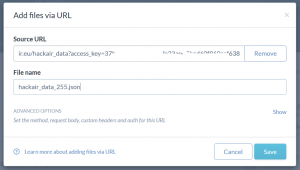 After setting up an an account and creating a new project, you can add your own sensor data using Add data > Add from URL. Paste the following link: https://api.hackair.eu/hackair_data?access_key=1234 (replace 1234 with your own sensor’s access key). Add the extension .json to the file name, and you’re good. To enable automatic updates, go to project settings, and enable the Automatic Sync Options. You can then explore your data and build graphs like the one below. Now add two new fields and set both of them to aggregation = Average. How about measurements from a specific geographic area? Determine the coordinates of the top left corner of your area, e.g. by locating it on OpenStreetMap and selecting show address. This will give you a pair of two numbers, the latitude (e.g. 52.6315 for Berlin) and the longitude (e.g. 13.1259 for Berlin). We’ll call them lat1 and lon1. Determine the coordinates of the bottom right corner of your area, e.g. 52.3153, 13.7569 for Berlin. Again, we’ll call them lat2 and lon2. 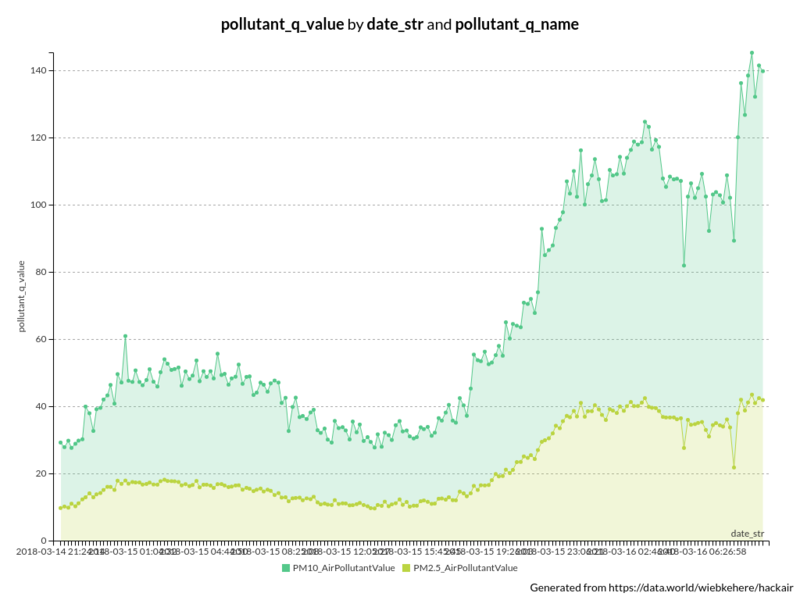 with the formula “CASE WHEN pollutant_q_name=”PM10_AirPollutantValue” THEN pollutant_q_value ELSE 0 END”. Set the aggregation to average. 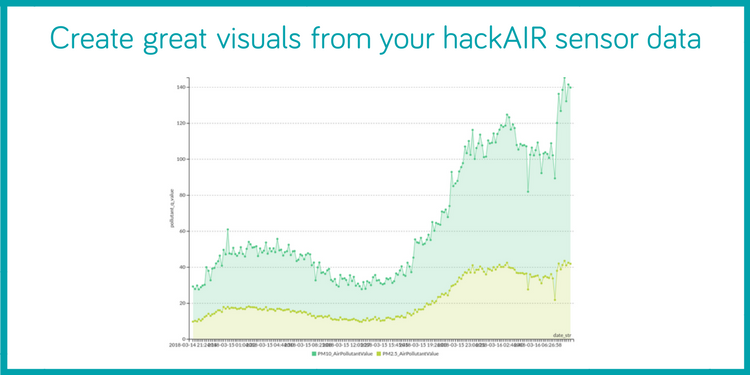 What other ideas do you have to visualise and use the data you collect through hackAIR? Any cool tools we’ve missed?